Over half a million people have fled to Bangladesh since violence erupted in Myanmar in late August. Here are some key events of this unfolding drama. The influx of Rohingya refugees to Bangladesh has reached staggering proportions, dominating the headlines amid international outcry. 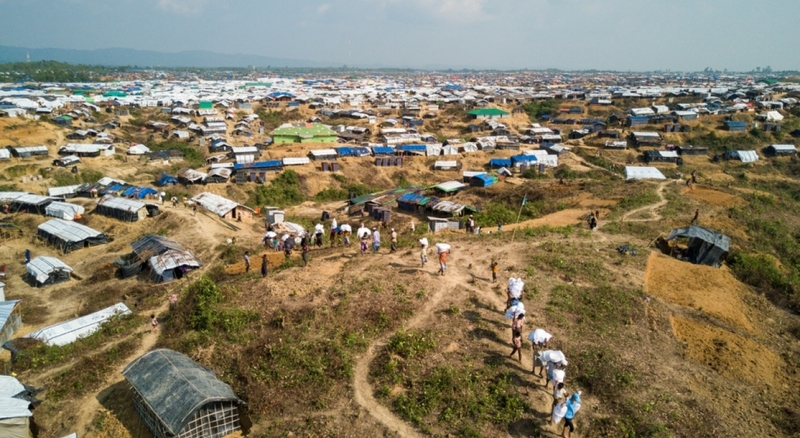 Since violence erupted in Myanmar’s Rakhine state in late August, more than 620,000 men, women and children have fled the country, in what has become the world’s fastest-growing refugee crisis. Here are some key moments in the first 100 days of the emergency. August 25 – Myanmar state media reports that 12 security officers have been killed by Rohingya insurgents. An Army crackdown in Rakhine state triggers an exodus of the stateless Muslim minority. Over the next four days, the number of refugees reaching Bangladesh on foot and by boat soars to several thousand. 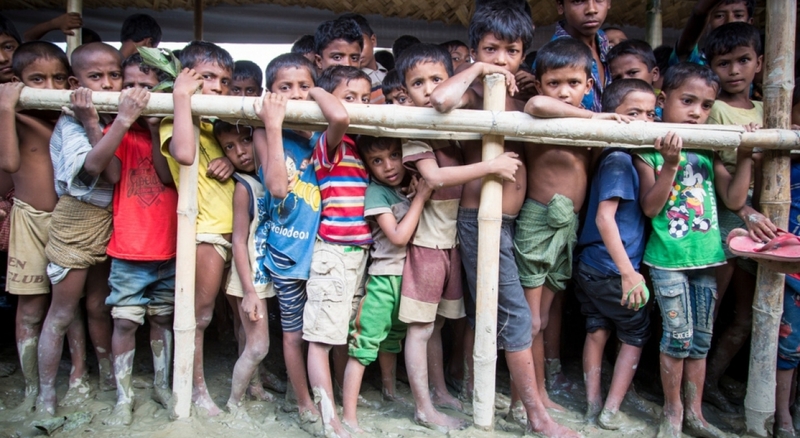 On August 29, UNHCR, the UN Refugee Agency, which has been working in Bangladesh for decades, pledges support and urges Dhaka to open borders as the numbers increase rapidly. 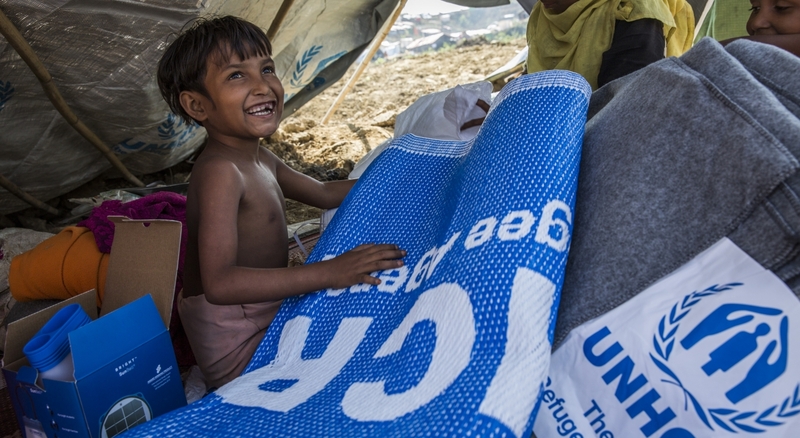 UNHCR’s existing aid operation for tens of thousands of refugees in camps in Cox’s Bazar braces itself for a new massive influx. 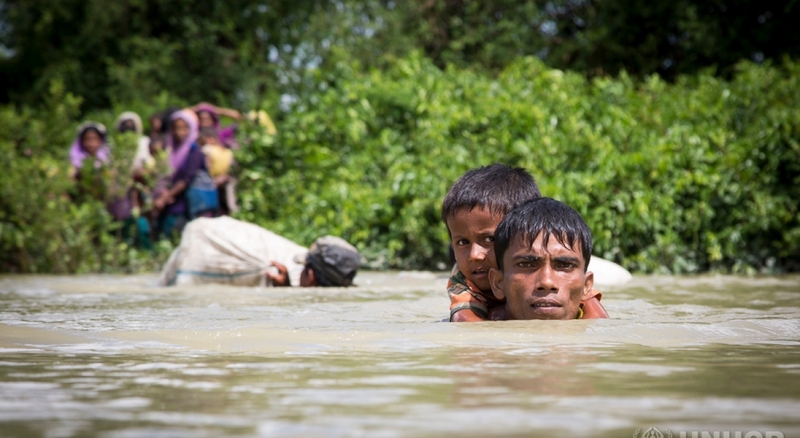 On September 5, UNHCR calls for “life-saving assistance” as the numbers reaching Bangladesh approach 125,000. Three days later, on September 8, it warns that limited capacity at two existing refugee camps is exhausted as numbers reach 270,000. 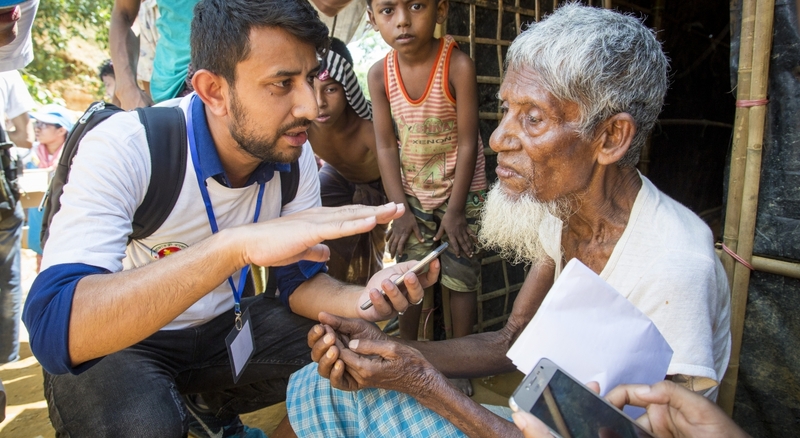 Bangladeshis and an earlier wave of refugees are at the forefront of the aid response, feeding, clothing and sheltering new arrivals as makeshift shelters mushroom on roadsides and available land. As the first UNHCR emergency airlift lands on September 12, the number of new arrivals tops 370,000. After enduring persecution and extreme poverty in Myanmar, many are already malnourished before setting out on a week-long trek through the jungle under the monsoon rains. The old and sick are among the most vulnerable, some, like 75-year-old Mabia Khatun, are carried to safety by relatives. By September 19, more than 415,000 refugees have trekked to southern Bangladesh, many like mother-of-six Rabeya Khattm struggling with rains and flooding along the way. The same day, UNHCR declares Bangladesh a major emergency to scale up its response, deploy more staff and resources. 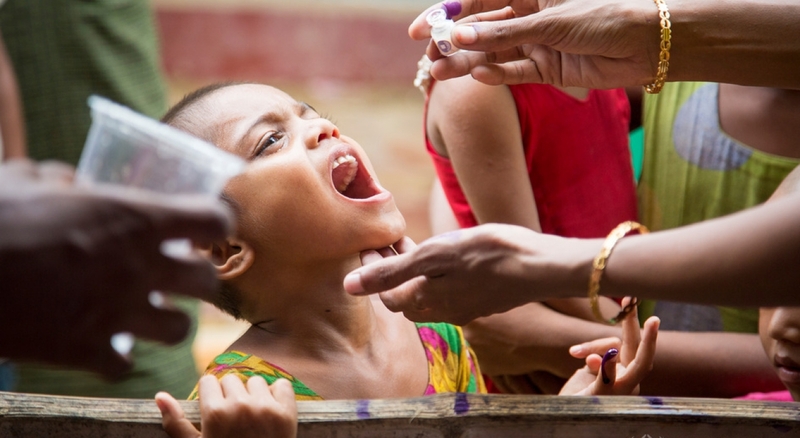 Amid fears of disease outbreaks in the sprawling informal settlements, it steps up vaccine, clean water and sanitation drives. 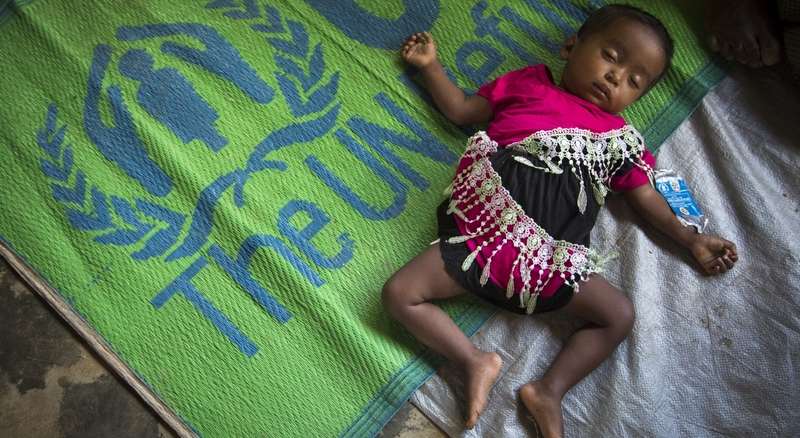 On September 24, during a three-day visit to Bangladesh, UN Refugee chief Filippo Grandi calls for aid efforts to be “accelerated and sustained” to avert disaster. 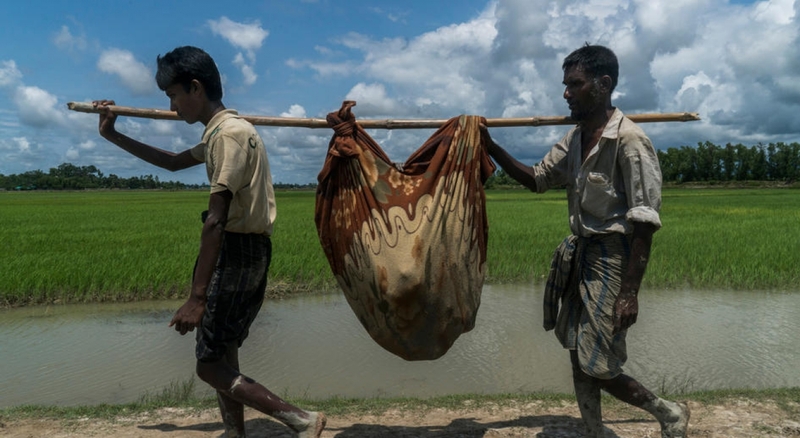 Thousands of Rohingya have fled violence in Myanmar. Follow the crisis. As the outflow continues, UNHCR rushes relief supplies to the border areas amid reports on October 9that an estimated 10,000 Rohingya refugees crossed into Bangladesh in just one day. Days later a "family count” gets underway in the informal settlements, to collect data on the size, particular needs and location of the newly arrived. It aims to help flag those with special protection needs, such as single mothers with small infants, people with disabilities, or lone children and elderly refugees. Despite threats to leave or be killed, thousands of Rohingya opt to stay put in their homes in Rakhine state. But by mid-October, they flee when their villages are set on fire. Around 15,000 refugees near the Bangladesh-Myanmar border on October 17, as they wait for permission to cross to safety. 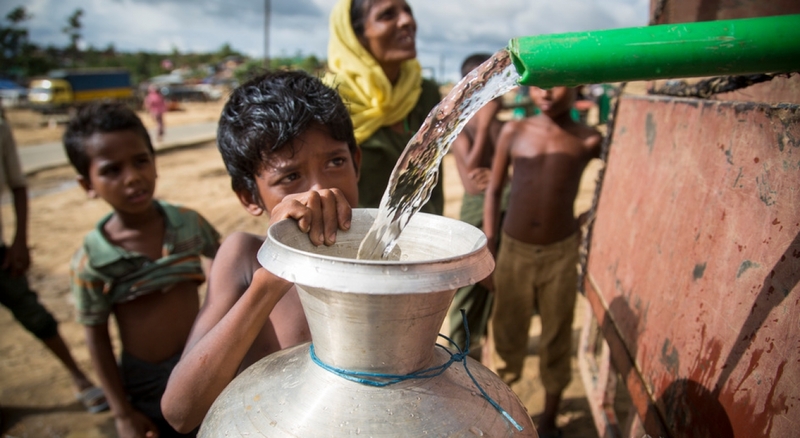 On October 24, the international donor community announces more than US$344 million to ramp up delivery of critical humanitarian assistance to refugees and host communities in Bangladesh, where the number of women, children and men seeking safety now exceeds 600,000. 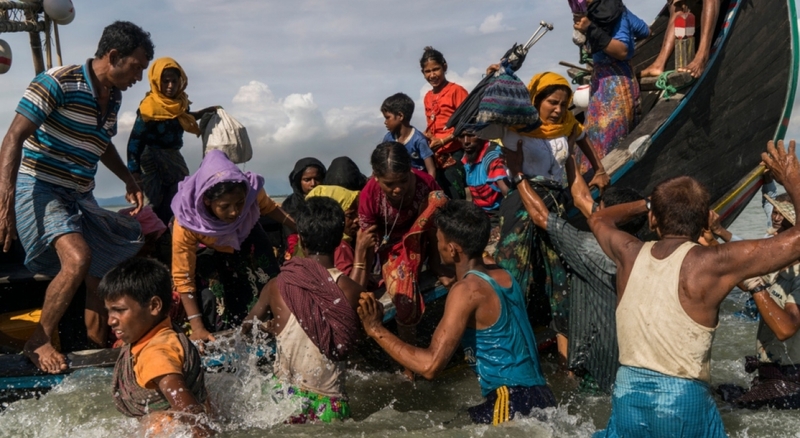 In early November, thousands of Rohingya are stranded in Myanmar waiting to cross the Naf River to Bangladesh. 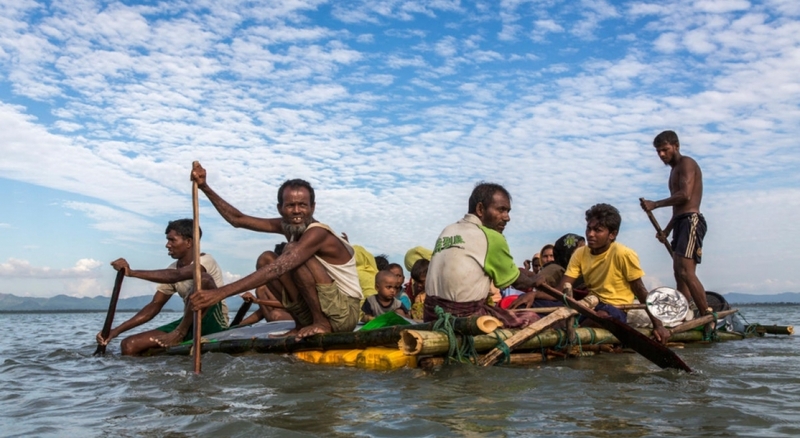 Unable to pay for the crossing, a flotilla of 30 improvised rafts - made from bamboo poles and jerry cans lashed together with rope - cross the river estuary to Bangladesh on November 17 as refugee numbers top 620,000. 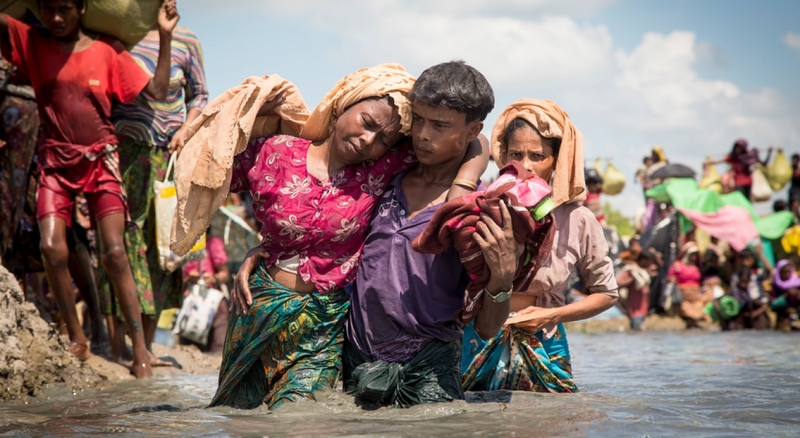 During the week of the announcement, an average of 100 families – some 430 individuals – per day entered Bangladesh as the tragic crisis, unprecedented in the region in decades, continues.